The Plum Tree apartment blocks at 34th and Hill in southeast Albany. The housing stock of rentals in Oregon’s mid-valley will get a substantial boost this summer when two big Albany apartment complexes should be finished and ready to rent their units. 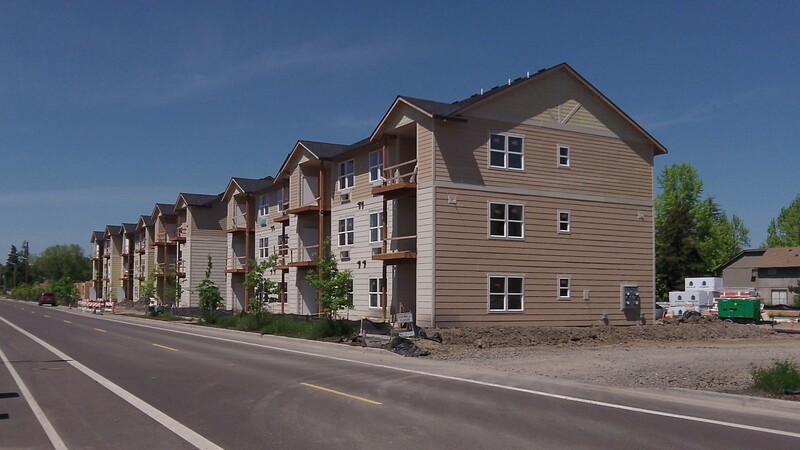 At the corner of Hill Street and 34th Avenue, the 90-unit Plum Tree apartments expect to start renting about mid-June. Construction of the development was held up during the winter over a misunderstanding having to do with wetland mitigation. 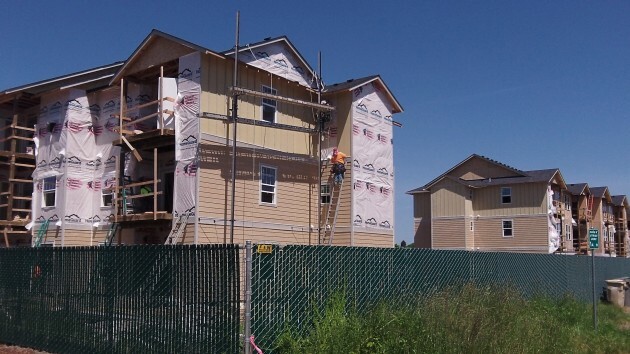 The place will have one-, two- and three bedroom units. Rent of the smallest units starts at $795 a month. Two-bedroom units run up to $950 a month. The Oak Street Apartments on, you guessed it, Oak Street.